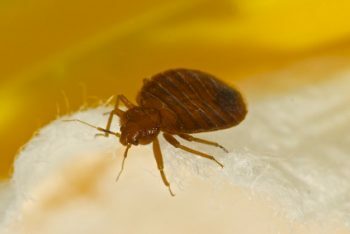 As the number of bed bug incidents grows in the NJ and NYC area, it’s important for you to know as much as you can about these pests. Keep the following information in mind, and get in touch with the best NJ exterminator if you see any bed bugs in your home. 1. Bed bugs are good at staying hidden. You might have more than you realize, since these pests can hide in the smallest crevices. 2. Bed bugs usually feed at night. They tend to target areas where your skin is uncovered, such as your face and hands. You probably won’t feel bites during feeding, but they can become red and itchy afterwards. 3. Bed bug bites vary. Some people have mild reactions, while others have more serious ones. Some people experience symptoms right away, while others don’t notice a reaction until a few days later. 4. Bed bugs don’t spread MRSA, a serious illness, although they can carry other pathogens, such as Chagas disease and hepatitis B. 5. Bed bugs can cause emotional distress. Some people develop anxiety and insomnia from having to deal with these pests in their homes. Don’t wait for a bad bed bug infestation to get even worse before seeking help from the best NJ exterminator. Call Allison Pest Control, and we’ll help rid your home of these pests so you can sleep peacefully. No one wants the bed bugs to bite, but these pests have earned a solid reputation for being hard to get rid of. Our Tom’s River pest control company wants you to understand why bed bugs are so difficult to defeat. Bed bugs are tiny enough to slip into the smallest spaces, including loose wallpaper edges and light switch plates. This makes them harder to find, which is necessary in order to completely eliminate them from your home. Keep in mind that they can be anywhere in your home, not just in your bedroom. Bed bugs are able to reproduce at rapid rates. One female is capable of laying up to 500 eggs throughout her life. All of those offspring that she produces are able to start reproducing within just a few months. That leads to large numbers of bed bugs in your home very quickly. Bed bugs are able to resist certain kinds of pesticides, which has made these products ineffective. They also learn to avoid areas where pesticides have been used, and they’re able to go a long time without having to feed, which means they can stay hidden away safely. If bed bugs have invaded your home, please contact our Tom’s River pest control company for help. Allison Pest Control has effective ways to get rid of those pests and prevent them from coming back. How Can You Protect Your Home and Family from Bed Bugs? 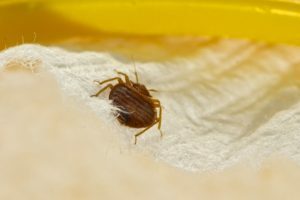 Bed bugs can quickly and easily become a big problem in your home and put your family at risk of being bitten. Thankfully, there are several steps you can take to protect your home from these bloodsucking pests. Keep in mind that if you have a bed bug problem already, it’s best to have a professional pest control company in Freehold help you out. Use these tips to lower your risk of getting bed bugs. Look for signs of bed bugs, such as the tiny black specks that they leave behind. Wash and change your sheets, blankets and other bedding often to lower your risk of having bed bugs. 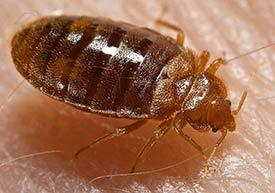 Before buying any used items that could harbor bed bugs, check them for these pests. Otherwise, you could accidentally bring them into your home. Check the bed and rug in your hotel room for bed bugs before settling in. Leave your suitcase closed and on a rack instead of putting it on the floor. Bed bugs can hide in piles of clutter around your home. Keeping it free of clutter can make it harder for these pests to find places to hide. If you need to eradicate a bed bug problem, help from your local pest control company in Freehold is just a phone call away. Contact Allison Pest Control to learn more about our residential services. Make Sure Your Bedbugs Don’t Come Back! All it takes is a few bed bugs finding a cozy place to make their home and you could easily end up with an infestation on your hands. Allison Pest Control in NJ has seen this situation play out many times, usually resulting in your family members waking up with bites all over their exposed skin and having to dispose of bedding. Researchers found that bed bugs are attracted to the shed skin of other bed bugs. This means that it only takes a very small “pioneer” population to attract more bed bugs to the area. Even after you use commercially available insecticides, the molted skins and carcasses will still attract bed bugs. It takes the work of a professional bed bug extermination expert to get rid of these insects completely. Killing the ones that are present is only a part of the solution since you want to avoid having them reappear at a later time. Our team at Allison Pest Control can go through your home and eliminate bed bugs that are causing you a problem now, and set up chemical barriers to prevent their return. For more about how Allison Pest Control in NJ can help you take care of your bed bug problem, please give us a call at 1-800-564-4585. Or you can visit us on our website at AllisonPest.com.